Our lighting department has an extensive inventory of lightbulbs, within which we have ‘Tough Lamps’ (the closest equivalent to the traditional incandescent lamp available since the EU phase­out) in the standard GLS, Candle, and Round Lamp shapes, by Bell Electrical Lamps LTD, along with many other fittings including GU10’s, MR16’s, Fluorescent Tubes and many more obscure lamps you may not recognise, but we do. We also have the ability to special order what we may not keep in stock from our regular and reliable Electrical suppliers, within a matter of days. Alongside our great range of traditional lamps, we offer quality LED equivalents by energy­ efficient lighting experts, Kosnic. 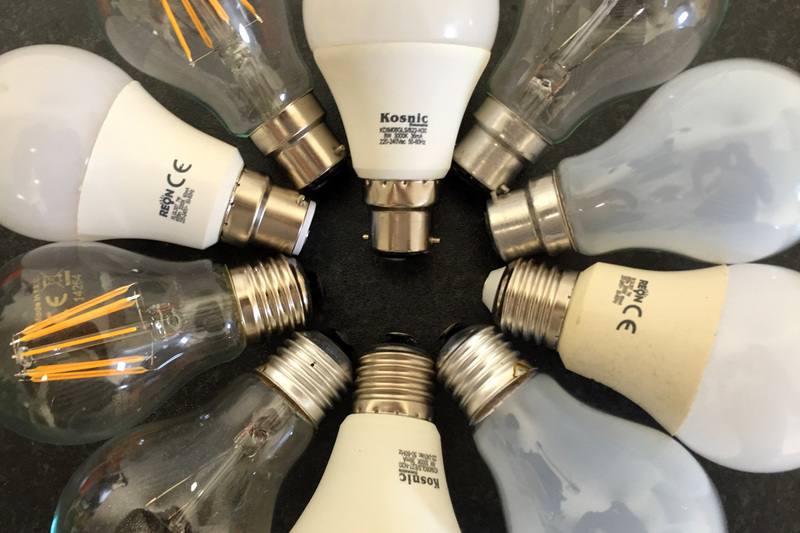 Kosnic supplies us with regular new and exciting products at a very reasonable price aimed to save the consumer money on electricity bills and the frequent outlay on lamps, whilst also benefitting the environment with their exceptionally low energy consumption. These LED lamps produce great traditional­ looking light, with fast start­up at a fraction of the power and fit straight into your existing fittings, no electrician required. We will also take and recycle your old bulbs upon purchase in case you’re not sure what to do with them. Call us on 01494 872219 or come in store to speak to one of our friendly and knowledgeable assistants.